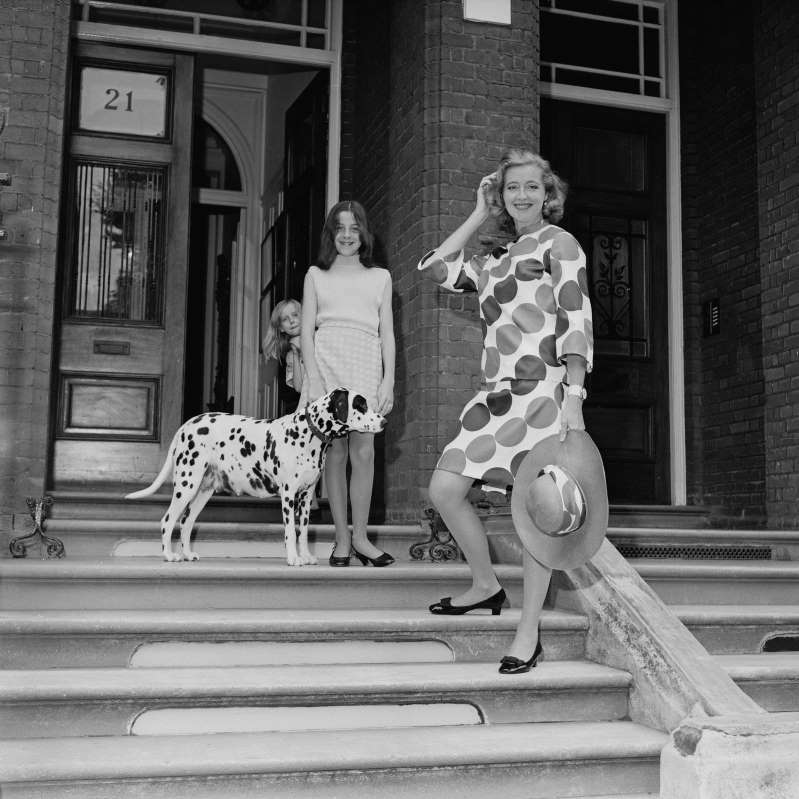 © Evening Standard/Hulton Archive, via Getty Images Evelyn Anthony in 1968 with her daughter, Susan, and their dog. She wrote suspenseful stories of Cold War espionage, a field dominated by men. Evelyn Anthony, a best-selling British novelist who transitioned from historical fiction to espionage thrillers, becoming one of the first female writers to explore the spy genre, died on Sept. 25 at her home in Essex, northeast of London. She was 92. Her son Barley Ward Thomas said the cause was heart failure. As her writing career began in the early 1950s, Evelyn Ward Thomas took on the pseudonym Evelyn Anthony (for St. Anthony, the patron saint of lost items). The name stuck, first on the short stories she wrote for magazines and then on novels that reimagined the lives of monarchs, most of them British. She wrote a trilogy about Catherine the Great, starting with “Rebel Princess” (1953), and books about Queen Victoria and her consort, Prince Albert; Queen Elizabeth I; and Anne Boleyn, the second wife of Henry VIII. But in the late 1960s Ms. Anthony turned to telling suspenseful stories about Cold War espionage, entering a field dominated by men like John le Carré, Ian Fleming, Eric Ambler and Len Deighton. “What made me change from historical novels was getting to know people who had been in the Special Operations Executive and MI5 during the war,” she said in an interview in 1991 with the British newspaper The Observer, referring to a secret British force that undertook sabotage missions against Hitler’s Germany and the British domestic security agency. “Listening to them talk fired my imagination and gave me ideas for several plots,” she added. With books like “The Legend” (1968) and “The Assassin” (1970), Ms. Anthony joined a small group of women, including Helen MacInnes and Ann Bridge, who wrote spy thrillers. Ms. Anthony found that spycraft, assassinations and intra-agency power plays gave her fertile ground for dozens of novels, among them four about a female agent, Davina Graham, who rises to direct the British Secret Intelligence Service, best known as MI6. Kirkus Reviews praised “The Defector,” the first of the Graham books, as “classy spy intrigue” that showed a continuing sharpening of Ms. Anthony’s talents. “This East-West espionage, with echoes of ‘The Spy Who Came in From the Cold,’ is one of her best,” the reviewer said. Gayle Lynds, who began writing espionage fiction in the mid-1990s — among her books is “The Assassins” (2015) — said in an email that she admired Ms. Anthony’s willingness to write about Cold War treachery and geopolitics with female protagonists. Evelyn Bridget Patricia Stephens was born on July 3, 1926, in London. Her father, Henry Stephens, was a lieutenant commander in the Royal Navy who, during World War II, invented an antiaircraft gunnery simulator called the Dome Teacher. Her mother was Elizabeth (Sharkey) Stephens. Ms. Anthony was educated at home and at a boarding school in a London suburb but never went to college. A voracious reader with a vivid imagination, she liked to engage people with her storytelling, a path that led to writing. She published her first short story at 17. One of her most popular novels, “The Tamarind Seed” (1971), centers on the international intrigue that ensues after a British woman who handles classified information in her job at the United Nations unsuspectingly meets a dangerous Soviet agent while on vacation in Barbados. “Espionage is something which has always intrigued me,” Ms. Anthony told The Guardian in London soon after the novel was published. A film adaptation of “The Tamarind Seed,” starring Julie Andrews and Omar Sharif and directed by Blake Edwards, was released in 1974. In 1994, Ms. Anthony had nearly retired from writing when she was named High Sheriff of Essex, a largely ceremonial position with a one-year term that entails being the British Crown’s representative to the county judiciary. She was the first woman to hold the office. In addition to her sons Barley and Christian, she is survived by a daughter, Susan Wintour; two other sons, Anthony and Ewan; and 17 grandchildren. A daughter, Kitty, died in 1995. Her husband, Michael Ward Thomas, a mining company executive, died in 2004. Ms. Anthony said she had once been approached about becoming a spy herself. Although she did not say who asked her, she told The Guardian that she was too much of a coward to venture into that dangerous world.